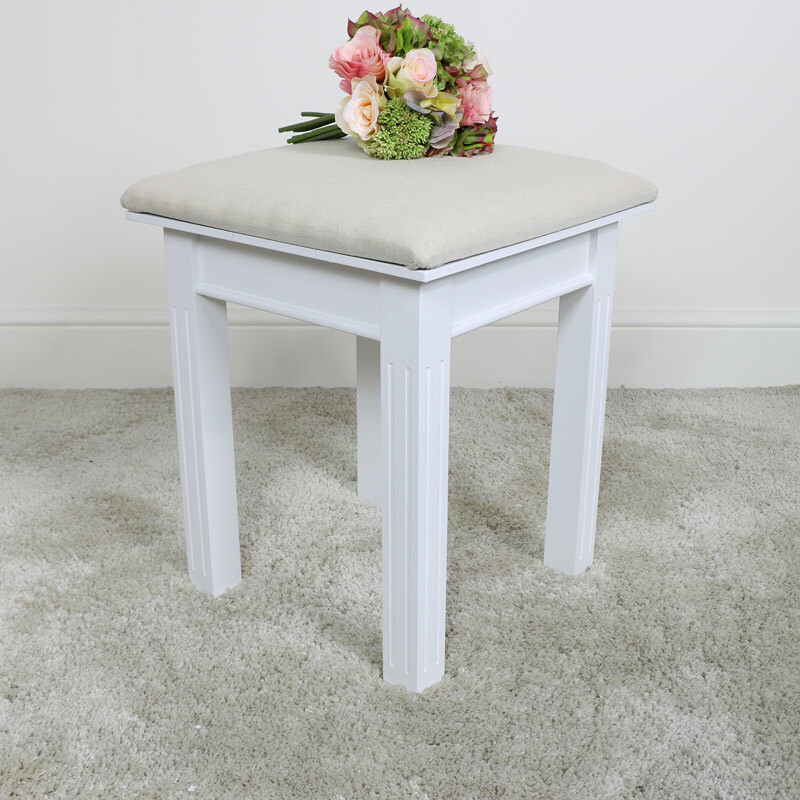 Dressing table stool in a white painted finished with beige cushioned seat. Ideal for use with the Daventry White Range dressing table or for extra seating. Use with the Daventry White dressing table for a stylish look in the bedroom. 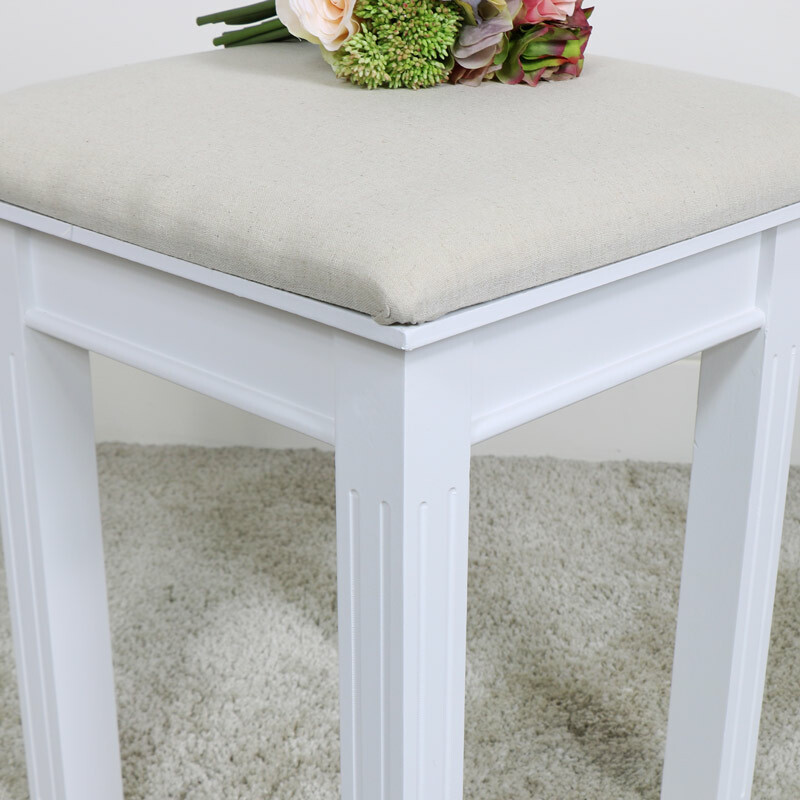 A great way to add some extra or occasional seating in a room and can be used as a piano stool. We have more matching furniture in this range for the bedroom and living room including full bedroom sets. The white painted finish of the Daventry White Range allows it to match with any colour scheme with it's neautral tones. Constructed with a wooden base and a beige cushioned seating pad. Fully assembled design so all you need to do is unbox and placed where needed. (Please note this listing is for the stool only).